Most properties lose heat through their windows, but energy efficient glazing keeps them warmer and quieter. 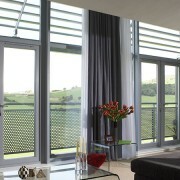 Energy efficient windows can also make your home more comfortable and reduce your carbon footprint. 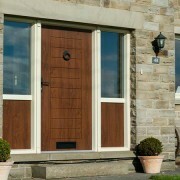 Doors are available in a range of modern materials including uPVC, Composite and Timber. Each material has its own benefits including thermal efficiency and acoustic performance. 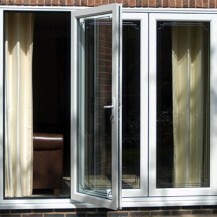 What's more Doors are available with a range of glazing options including Triple Glazing. Different types of doors include: French Doors, Bi-folding doors and Patio Doors. 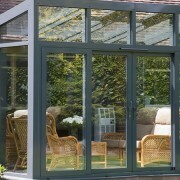 Conservatories are a great way to add style and value to your home. They are available in a huge range of bespoke, classic and contemporary designs that can help open up your property and allow more light to enter. Roofline products are designed to protect your home from the elements that can lead to damp and mould on the inside of your home. Replacing your roofline with a modern uPVC alternative will prevent rotting, discolouration and improve the performance of your roof. 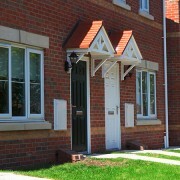 Other products covered under the DGCOS scheme include garden rooms, garage doors and porches. Click on the relevant product to find out more. The Double Glazing & Conservatory Ombudsman Scheme aims to protect consumers and improve the reputation of the glazing industry. Find out more about DGCOS by selecting the relevant page on the right. uPVC doors are a modern and attractive solution that will help to keep your home warmer, quieter and more secure with virtually no maintenance. Most uPVC doors have a galvanised steel core, making them extremely resistant and long lasting, whilst also offering energy efficient qualities which could lead to reductions on your heating bills. Modern external uPVC doors need to fulfil a multitude of roles including reducing drafts, providing increased security and enhancing the appearance of your home. All uPVC doors have multi-chambered profiles which help to improve their insulating qualities and a properly fitted uPVC door will help save the typical household between £10 and £50 a year. uPVC doors are well known for their acoustic performance, and are the perfect addition to your home if noise pollution is a problem. Installing a uPVC door has the ability to reduce noise levels within your home by as much as 50%. 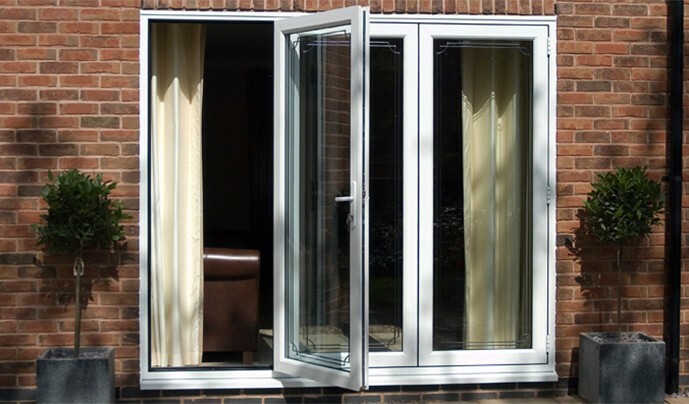 uPVC doors are also available with the addition of triple glazed glass. Triple glazing is 35% more energy efficient than standard double glazed doors, whilst also enjoying other qualities such as noise reduction and enhanced levels of security. Another major advantage of uPVC doors is that you can customise them to your individual preference. A minimalist, flat panel design is a cost-friendly option for people looking for a durable, high quality door on a budget, whilst those considering a more elaborate design can choose from a range of glass options including Pelerine, Minster Autumn and Sycamore. uPVC doors are also available in a variety of modern and traditional styles including Geneva Mira, Bordeaux and London Virgo with a choice of colours including Brilliant White, Golden Oak and Rosewood. Every consumer will have access to Free Mediation to help fully resolve any disputes and Free Independent Inspections to assist with installation or product malfunctions (at DGCOS discretion). Every consumer will have Free access to the Ombudsman in order to conclude disputes without incurring legal fee or costs and a Compensation Fund to ensure you’re never left disadvantaged. I am very pleased with the service we have received from DGCOS. Looking for more information? Use the links below to find the right door. The authentic look of timber delivers timeless charm and uncompromised style. Sliding patio doors are perfect for larger entrances and are a perfect space saving option. French doors are a timeless favourite that help bring the outside- in and open up your home. Energy efficient doors come in a wide range of materials and styles that can help increase the value of your home. 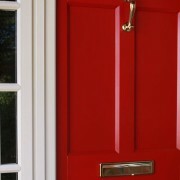 A composite door has the authentic look of a traditional timber door. 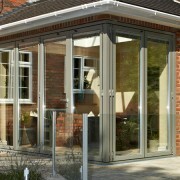 Bi-folding doors open up your property and all light to flood into your room. Copyright © 2017 The Double Glazing & Conservatory Quality Assurance Ombudsman Scheme (DGCOS) Is A Company Limited By Guarantee. All rights reserved.